Summertime vacations: Road trips! First things first. 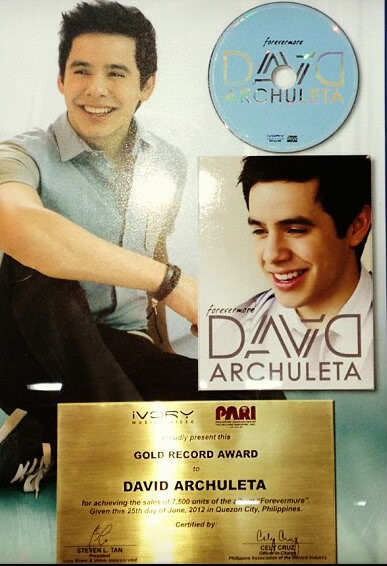 Load up the car with all seven of my David CD’s!! Taking David along certainly makes the trip more enjoyable. “Never leave home without him!” and the chance to listen to the David songs I hadn’t played for a while. All very fabulously successful artists. Mind you, I’m not giving up on David… Oh, noooooooooo, never!! Just so proud to have David in my CD case along with these greats!! I had just listened to The Other Side of Down and was as amazed as ever over David’s “Who I Am.” Oh, David. You’re stuck in a cab for two hours, pondering your life, “taking the time out now,” “walking in my own two shoes” finding yourself. This song conveys so well the mood you were in four years ago when you wrote it. Next CD up was Can’t Stop Dreaming by Daryl Hall. The first song is titled “Cab Driver.” Wow, a cab song! Hahahaha! Btw… this is a still relevant, very jazzy and soulful song. Daryl Hall wrote “Cab Driver” almost 20 years ago. In it, he finds himself needing a cab. The driver asks: “Where am I goin’ to?” He replies: He wants to get back to his girl; he’s been on the road way too long, and sadly, it’s not the life he bargained for. Am I goin’ any place? 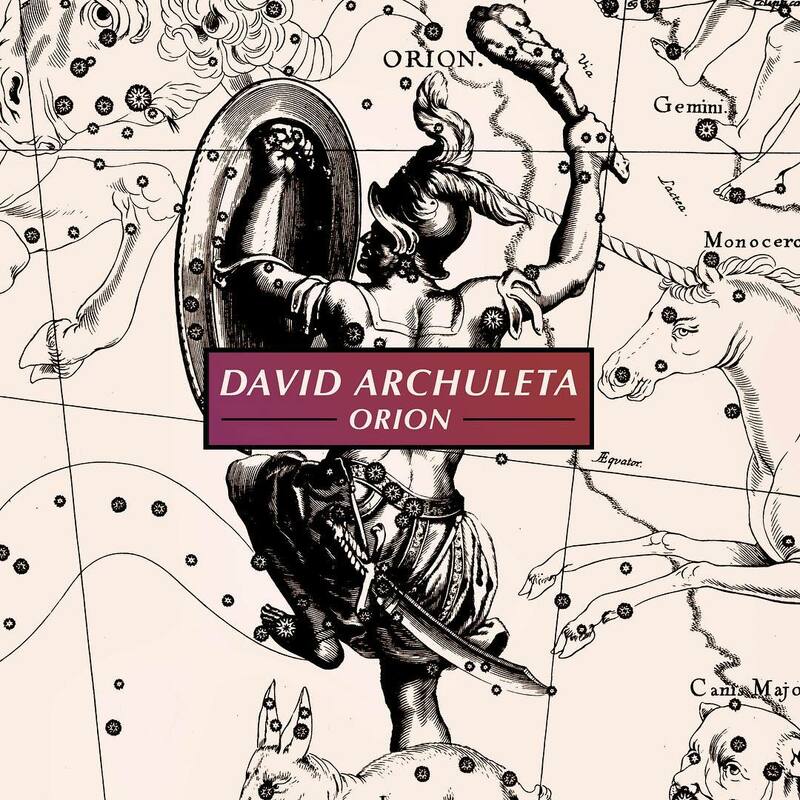 Listening to David’s “Who I Am,” I had visions of David in LA trying to get a cab to go back home (not necessarily to see his girl, but who knows?). Regardless he has to get back to Utah!! Via Nashville? Perhaps. But certainly David has to get back to writing and recording all that music we know is in him. 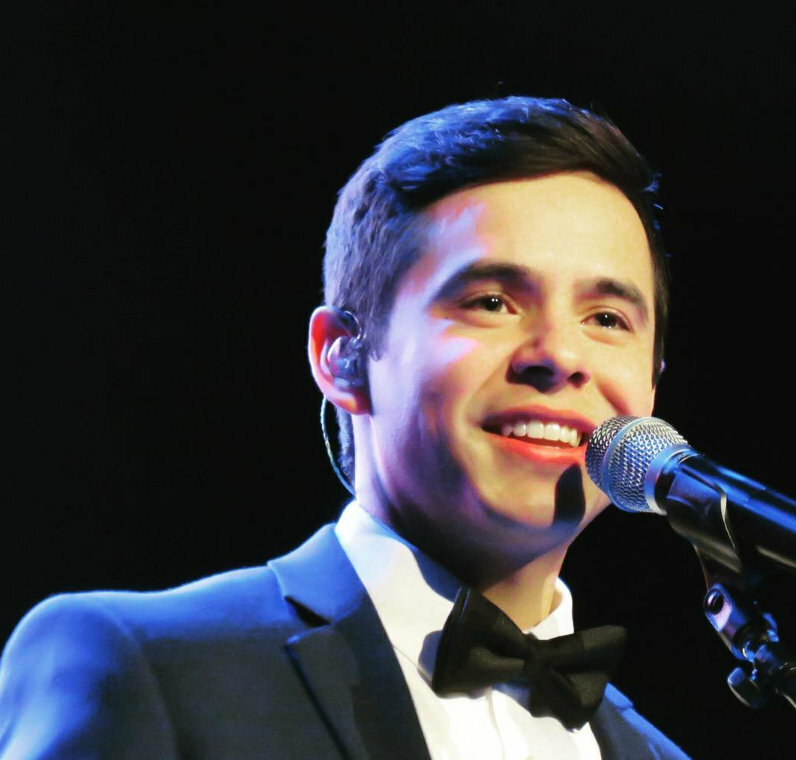 And someday again, very soon, I hope my next road trip will be to see and hear David’s “jazz and soul” at a show!! 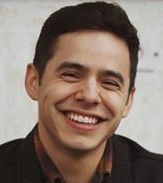 In a timeless, coming of age song, David tells us he’s “Gonna take the time now,” “It’s OK, ’cause I know where I’m going!” Trust the Archuleta!! And as good as it is to get back home, hopefully David will never tire of being on the road! Just remember to step out of the cab, David. Bluebar is a guest wrtiter for The Voice. 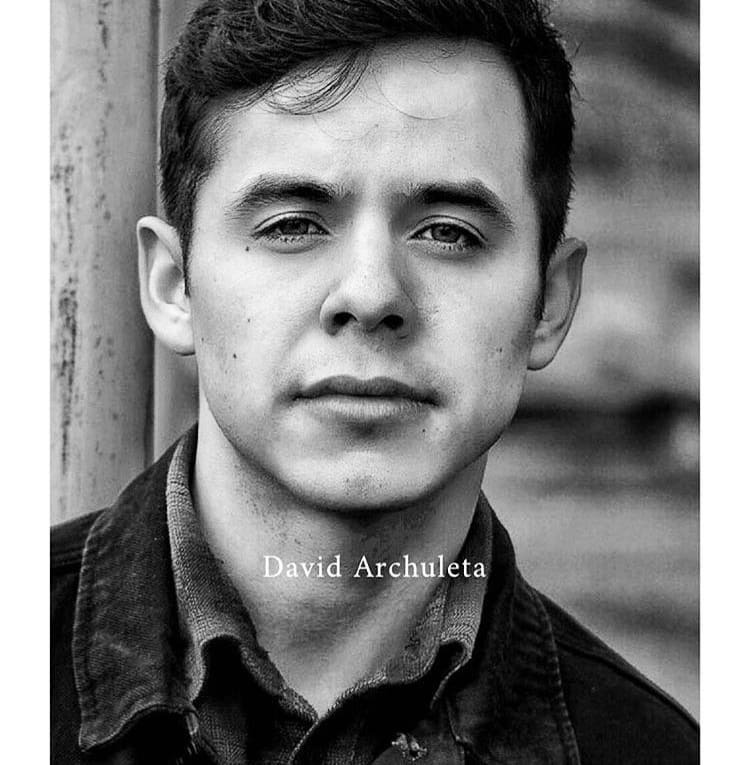 This entry was posted on Wednesday, June 11, 2014 at 7:52 AM	and is filed under Balance, David Archuleta. 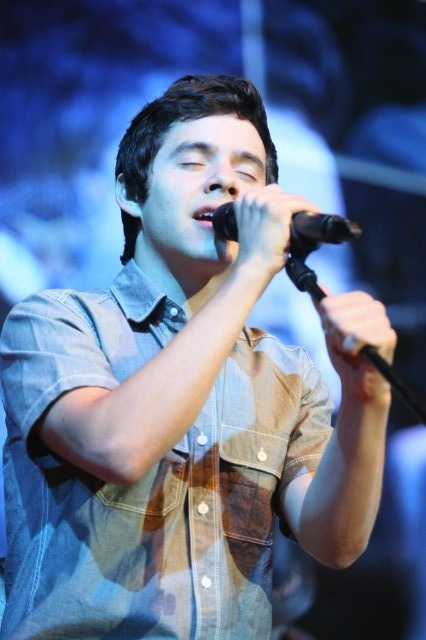 Tagged: Daryl Hall, David Archuleta, Who I am. You can follow any responses to this entry through the RSS 2.0 feed. You can leave a response, or trackback from your own site. Most of the decisions we made, the actions we took, the people who influenced us when we are young, are lived with for the rest of our lives. So, why didn’t I take the time to really think about what I was doing and what I wanted in the future when I was in my early years. I just let things happen. Dr. Phil says that our brains are not fully developed until we are around 23. So why is it that we have to live with the mistakes we made when we were younger than that? David is doing the smartest thing he has ever done. He is making sure that his decisions for the future will be right for him, his future wife, future children and his spiritual growth. So why are some fans so impatient with him? David is making sure that he doesn’t make any mistakes that he will have to live with for the rest of his life. What’s wrong with that? I am willing to wait for whatever he decides. I too have my car full of David music. I have a pattern, my ODD seems to be in high gear right now lol. Ride to work: BEGIN. and any of his Christmas music, including Chile Christmas performances. O Ven is heavenly. I agree with this then and now. David tried very hard to do things his way but obviously there was still at this point some compromising. I remember a interview where he said he was still learning what he wanted and learning to say what he wanted. I love TOSOD and Who I Am is one of my favorites. Suzy-Q, I don’t get it either. If only I had the wisdom David has at that age and younger. 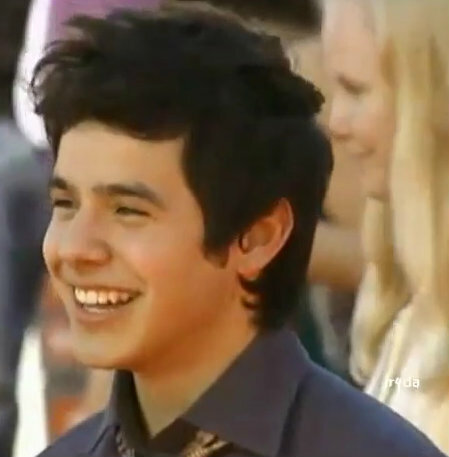 I’m amazed by it and wish him nothing but the best and like you I’m here for David for whatever. No Matter How Far on sale!!! bluebar, great article! It seems, to me, that the season for finding oneself is forever ongoing. In my several decades of life, I still am looking for me. Of course, I’ve found several pieces of me, but not the whole me. I’ll be the first to admit my concerns a few weeks ago, but I truly think, now, that David is doing the right thing right now. He’s finding who he is. He’s had some wonderful experiences and opportunities up to this point, and he now has to incorporate what he’s learned, from these experiences, into finding himself. I feel good that he has learned that he can speak for himself and doesn’t have to take any guff from anyone. I think the young man that is going to present himself down the road is going to blow us away. I can’t wait for the door to open from stage left and he enters. I like your interpretation. I had similar thoughts when this song came out. It seems David realized that while he was so busy rushing here and there, his life was just beyond the window and he was missing out. I guess you could consider that realization a starting place for where he has been and where is now. Very interesting and thought provoking article Bluebar. Had to add my 2 cents worth. The thing about life is, as you grow older, you keep changing who you are, and who he is now, is not who he was even when he recorded Who I Am a few years ago. I’ve lived many decades, seven to be exact, and who I am seems to change every 5 years or so. I think it would be more accurate to say Who I Am Right Now. And, like the rest of you, I can’t wait to see who he is right now. But, I’m well aware that it will be changing in another 5 years, plus or minus. As we experience life, who we are can change in an instant. I think though, for a young man, he has a very good grasp of who he is and who he wants to be. When I was his age, I had just gotten married. I didn’t have a clue. In 2 years, I was a mother, and still didn’t have a clue. Now, at 72, I’m starting to get a clue (lol). I hope I figure it out before I’m no more. 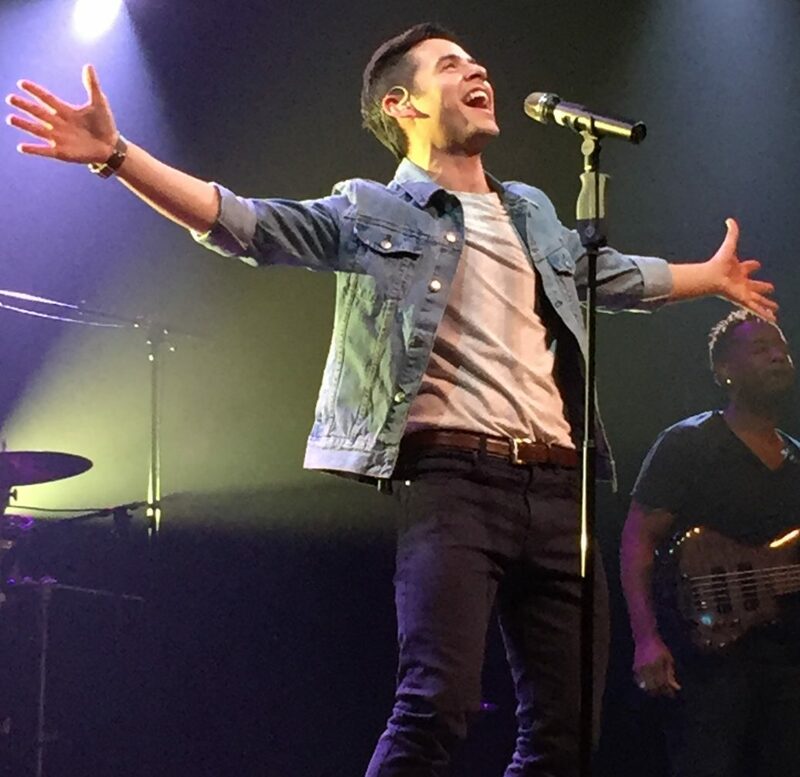 The Song “Who I Am” was relevant back when David wrote it when he was with Jive and it’s also relevant today. It’s one of those timeless songs that will never get old. We can’t leave home for an extended period of time without David’s music. That is the truth. It’s like leaving home without your medicine that you must take every day. Thank you for contributing an article to The Voice! On another note, I found this article interesting. He doesn’t mince words. He doesn’t say that the unexamined life is “less meaningful than it could be” or “one of many possible responses to human existence.” He simply and clearly says it’s not even worth living. Why does he make such strong, unequivocal statement? Examining our life reveals patterns of behavior. Deeper contemplation yields understanding of the subconscious programming, the powerful mental software that runs our life. Unless we become aware of these patterns, much of our life is unconscious repetition. As a psychotherapist, I see so many tragic examples of the effect of an unexamined life. I remember Melissa, a sensitive, attractive woman in her late forties who realized that a series of repetitive, doomed-from-the-beginning relationships had used up so many years of her life that it was now very unlikely that she could still manifest her dream of a husband and children of her own. I recall Donald, a caring, hard-working man who neglected his wife and family emotionally for too many years. By the time he came to see me he was divorced, depressed and living alone in an apartment. If only Melissa and Donald had taken the time to examine and reflect upon their lives as they were living them, they could have made changes and had a different experience during their lifetime. The good news is that it is never too late to start examining our life more thoroughly — and to reap the rewards. Melissa never had the child she wanted but she stopped recreating her past and eventually married a loving man who helped her heal her childhood wound of a father who deserted her. It was too late for Donald to get a second chance with his wife, but he was able to build strong relationships with his children. We all have blind spots. Sometimes when I examine a chronic problem in my life, I have that unsettling feeling that I must be missing something, but I can’t quite see what it is. We try to examine ourselves, but none of us can see our own back side (our “shadow”). That’s why Socrates’ method of self-examination included an essential element that became known as “Socratic” dialogue. Dialoguing with a close friend, a spouse, a skilled psychotherapist or spiritual adviser helps reveal those blind spots we cannot see by ourselves. Our society discourages self-awareness with a weekly cycle of working and consuming that keeps us too busy to slow down for self-reflection. Consumer capitalism’s game plan prefers an unaware and vaguely dissatisfied populace that tries to fill the emptiness inside with shiny new products. It’s a radical act to stop and contemplate your life. But according to Socrates, it’s the only game that really matters. I play David’s cd’s some around town because I’m not out for very long and don’t have to drive to work anymore. But I take them with me on every trip I take and play them til I get where I’m going! 🙂 And after I get there….. I play them here at home every day and just happen to have been listening to TOSOD album quite a few times this week. 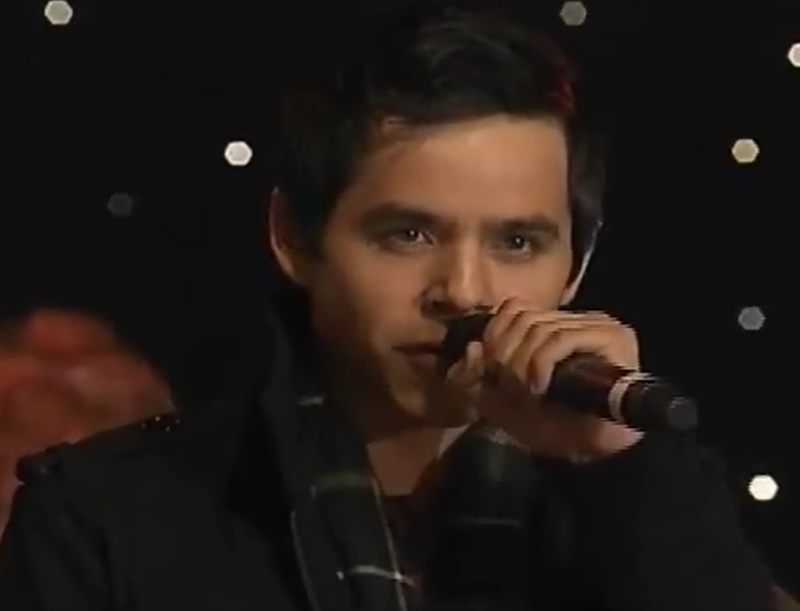 David brings the words in Who Am I come alive. He is so good at writing and singing stories! Lynella, I have to agree with you, being the same age. I had my first child at 22 and at 28 had 4. At David’s age I was doing good to cross the state line and he has traveled all over world! 🙂 It really does seem that I have changed every 5 yrs and right now I feel I’m looking for something. 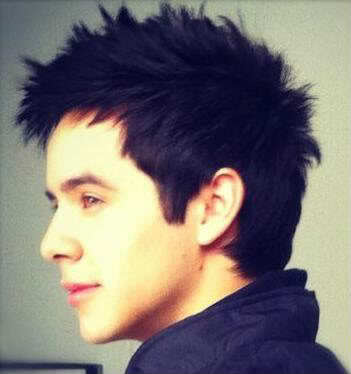 Maybe being in limbo waiting on David , even though I want him to take the time he needs to do it his way. Jans11 – I feel like we’re twins separated at birth. I had my first son when I was a few months before 25 and by the time I was almost 29 I had 3 sons. I also worked in a retirement/asst. living community. Spooky. I agree with everything that’s been said here in comments. David is very introspective. I’m so glad he went on his mission, because, as his sister said, it was never in question whether he would serve a mission, it’s who he is. He knows who he is and I think will instinctively do whatever is right for him. 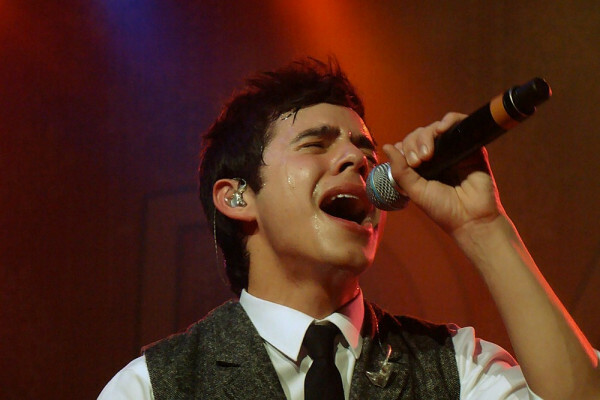 I, too, trust the Archuleta. We never have to worry that he will tweet anything that is inappropriate, or take any embarrassing selfies, or do or say anything that could be offensive to anyone. I just feel very secure following this fine young man. He is the role model for how it should be done. Jans11 – I live in Kentucky. Not too far away. Kari is back home. She just tweeted! I enjoyed her flipagram of all the sites she saw on JT’s tour. How long do you have to train to be a Tour Manager? 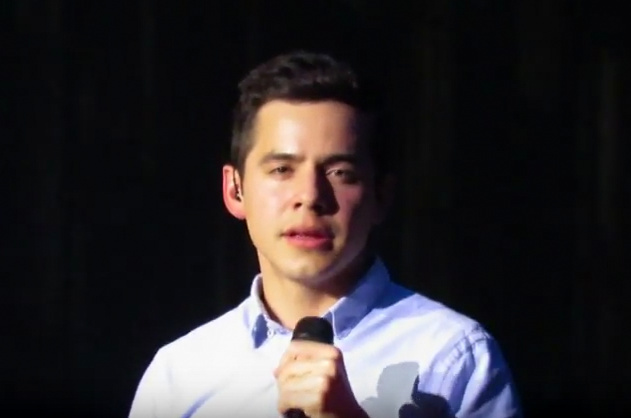 I wonder if I have time to get up to speed for David’s world tour? Can we say something crazy? We’re announcing the Pioneer Day Concert Guest Artist tomorrow! July 18th and 19th at 8pm at the Conference Center. Tickets are made available on first come, first serve basis, starting this Tuesday morning June 17th at lds.org/events, by calling 801-570-0080 801-570-0080 (locally) or outside Salt Lake City at 1-866-LDS-TIKS during regular ticket office business hours (M–F, 10:00 a.m. to 5:00 p.m.).or at the Conference Center ticket office. Standby tickets for those without tickets will not be issued. However, patrons are invited to stand by for last-minute seating each evening. The standby line will form at the north gate on Temple Square at 6:00 p.m. for the evening performances. Oh Angelica! It would be great. I’m also hoping for a surprise NA singer at the Stadium of Fire this year. 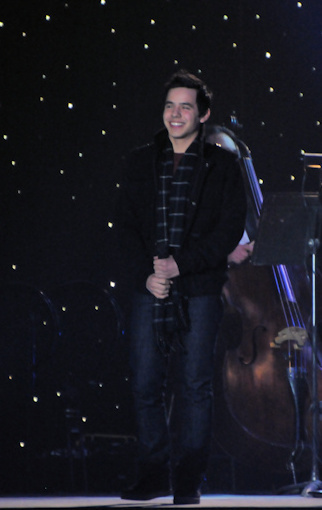 What questions do you have for David Archuleta? He’ll answer questions from you during the event on June 24th. Submit your question early for the best chance of having it answered live! Happy Friday the 13th! 😯 haha JK! Bluesky just sent me the link to this article on the drummer for Neon Trees. I am posting it here because I think it relates to this “Who I Am” post. Not gonna bring the whole article over, you can click on link to read in toto, but this quote stood out for me. I listen to music mostly in my car via my iPhone because I don’t have a CD player in the dash. It sounds the same to me so it’s all good. I have a similar selection of what I consider some “greats” in current music as well as past favorites.Someone I liked very much this season on American Idol is Alex Preston. 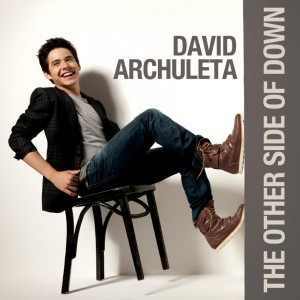 He has a voice I can listen to and enjoy as much as David’s, yet he has a whole different vibe. It’s more “CoffeeHouse” than Pop. 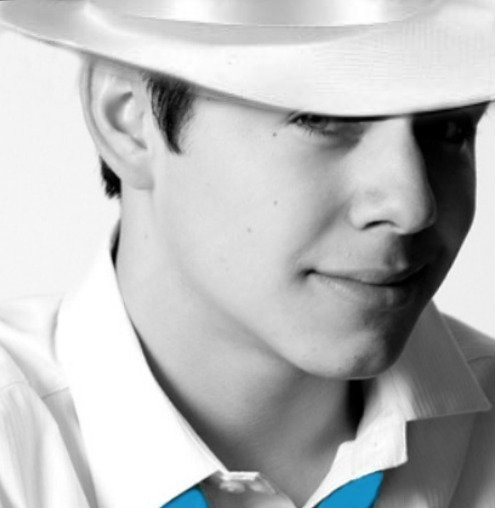 Here is an original song he performed for his YouTube channel before Idol. he has been writing songs for a few years and performing them around his home state of New Hampshire. There is nothing I like more than to have a fan submission for an article. 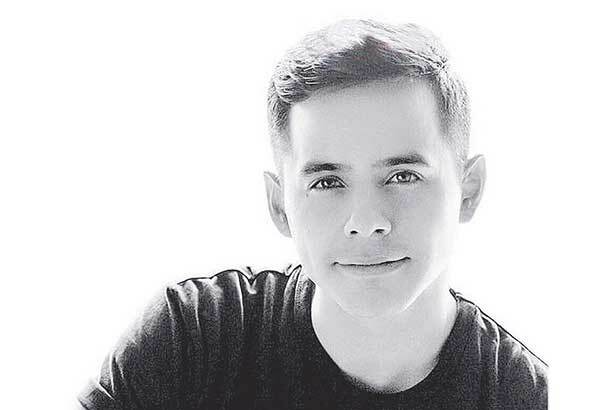 Now that David is taking time out of the spotlight, it is a challenge to conjure up something to write about. 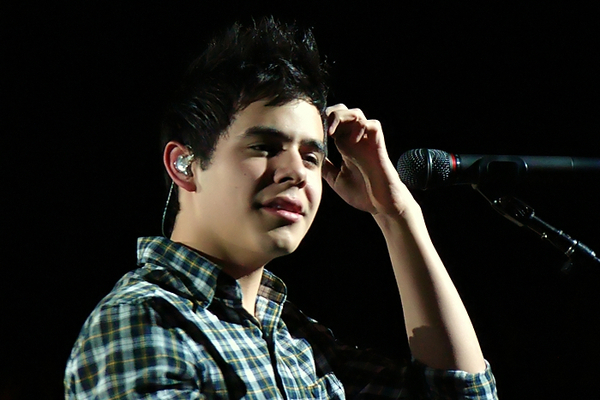 It’s refreshing when we can have your thoughts on something David related to ponder about. We here are The Voice are open to having fan submissions on any topic of your choosing. Our contact info is at the top of the page. The boy in that video is gone. The MAN that David is becoming has taken possession. Whatever is to come from David’s writing, I’ll be there to listen. Abrra, I can’t imagine that David would ever react that way again. He’s so much more self assured now, and mature. Boy is the right term to describe who he was then. He was a baby. 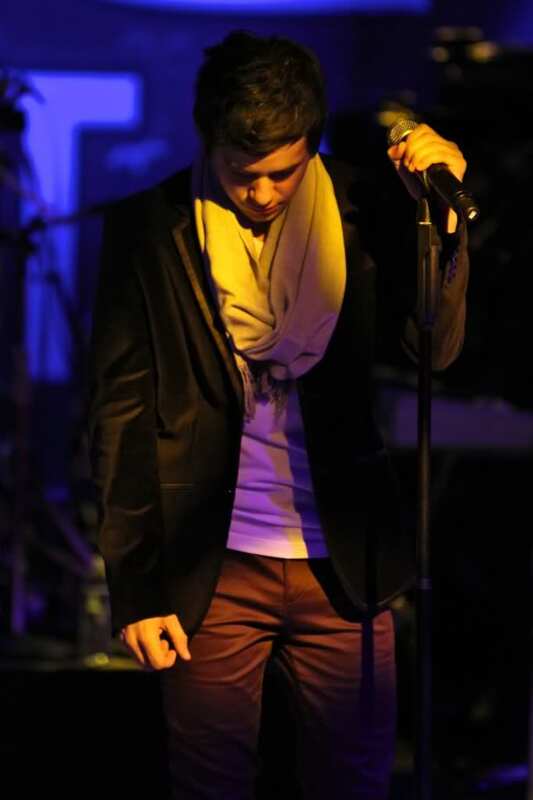 He had no idea how his life was about to change when he auditioned for American Idol. 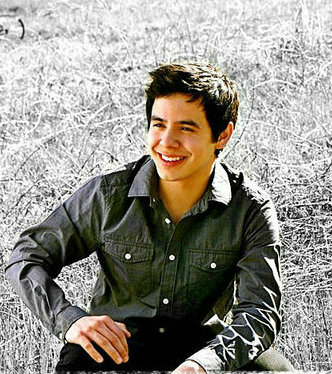 And, I might add, we had no idea how our lives were about to change when we saw him sing Waiting on the World to Change. Boy did it ever change, for all of us. I can’t wait to hear what he’s been writing. I hope he doesn’t feel too much pressure to do something he finds amazing. Whatever he writes, I know we will all think it’s amazing. I am not sure whether or not to post this but I thought it was a good article about what’s happening in the music business. My grandson, Steele Saldutti, is in a band called, VanLadyLove. They performed on the last season’s “Sister Wives”. They also have several videos on you Tube. They won a competition last week and this is the article that was written about it. It explains why David is staying in Utah to do his writing, recording and work. It’s long but it’s a great insight into the business. NEW YORK CITY — At this year’s New Music Seminar, Provo band VanLadyLove was named the 2014 Artist on the Verge. The five-piece alternative rock band was chosen out of 100 up-and-coming acts as the one most likely to succeed, at the seminar in New York City. The night after the announcement, the band was still very excited about the win. But a “real job” may not be necessary now that VanLadyLove has been praised by some of the top names in the music industry. The New Music Seminar, Saldutti explained, is like “an A-list music seminar, with a trade show.” It features artists, new technologies for music promotion and creation, labels and management all in one innovative place. The Artist on the Verge program, which counts Macklemore and Fitz and the Tantrums among its past participants, is designed to launch a band that is ready for a bigger audience. They scout bands that have a unique and polished sound, and that have a large reach. VanLadyLove’s social media following and its huge EP debut that charted on iTunes were factors in them being chosen. The band’s decision to focus so much time came from a desire to “control their own destinies,” Saldutti said. He said it was important they be able to write the kind of music they wanted, without expectations. Frontman Travis Van Hoff said his takeaway was not just excitement and validation, but a piece of advice from the industry leaders he met. Although they were awarded the top prize that includes money, media exposure and equipment Van Hoff said the band’s journey was just beginning. Saldutti said the band has sacrificed a lot to make music its full-time focus. He pointed out that the band members are not teens just getting started, but have put in years of work. The band will be playing a Beatles tribute in Provo June 27, as well as playing at the birthday party of a friend who has had a huge impact in the Provo music scene, and has cheered them on from the start: “Provo has a uniqueness to it that’s not located anywhere else,” Buckner said. In other music scenes, the music is secondary, Buckner said. He mentioned that playing in bars usually means people are not listening to the music, but Provo has designed unique venues that are 100 percent about the band. According to the industry experts at the New Music Seminar, VanLadyLove is ready to become your next favorite band. Check out its sound on iTunes, YouTube or Spotify. As for the band members, they are working to make good connections, hopefully get a good team behind them, and they’re revelling in their success: “And I’m going to take my chocolate milk to the after party,” Buckner said. David is feeling philosophical today. “You have freedom, so why not use it to serve one another?” – a lady DJ on the radio just now. Just made me miss my time in Chile, but reminds me that I don’t have to be on a mission to do something that makes me feel so dang good. Hey David! Take some of that freedom and serve up some wonderful music? 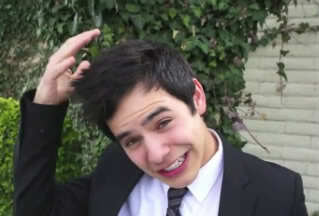 David do whatever makes you feel dang good! I love that. I need to make more practice of that! That is some really good reading. We are surely entering a new season in the music industry. This actually is good timing for David to transition back in. #28 Suzy-Q Thanks for the article. It shows that David isn’t the only one who realizes that good music starts with the artist not the city where its produced. I looked at a few of the band’s videos. I really like this idea for shooting a song video. Minimal cost and a beautiful, natural setting. This comment stands out as excellent advice for any artist. David are you listening?? #33 Jan Our quote box is a way for us to include fan participation in a personal way. The more we can be inclusive, the stronger the feeling of community. Suzi Q….good info and I know you are proud of your grandson…good sounding band! Jan You were missed in chat. See you soon! David was out having some fun at Trafalga (family type fun park) and ran into some fans. For all the Fathers and Father figures who have a sweet tooth, Peewee has a treat for you! SuzyQ, Thanks for sharing! They’re really good and I like their song Neverland. It’s beautiful! Abrra, Thanks for the Sunday puzzle. That’s a great picture of David. Hoping you all have a nice Father’s Day! Happy Father’s Day everyone. Enjoy! We missed you in chat last night too! Great find by FOD from David’s Nashville visit. Another writing session. It is quiet on fan sites, but soon we will have the new music that David promised. I know he appreciates the patience of fans. Good music takes time. I can’t help but comment on what Jason Deere’s caption says “the stories of people and places and missions and faces. Good times…” THIS is the stuff that feeds the imagination of a good song writer. 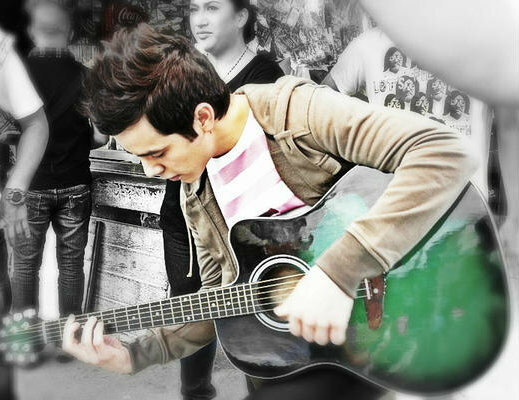 Talking about the memories that make up the fabric of your life is a start in the process to open your soul to a song. Jason Deere is quite an accomplished songwriter. 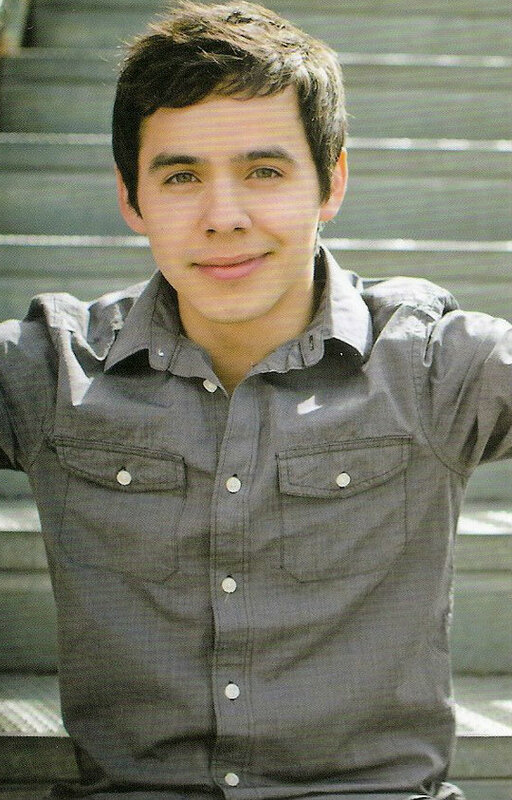 Appears they have worked together before – checked out the pics on his site, David is in 3 of them. Thanks for being an eagle eye LOL I was rushed when I posted earlier. Here are the photos from Jason Deere’s site. It looks like about 2009. A big shout out to all the snoopy mods that finds out about all the David goodies! 🙂 Closer now, closer now….one day we’ll hear those great songs that he’s working on! Tawna I wish we had more news. It comes in small pieces. I do most of my snooping on twitter, searching for links. This time it was FOD that dug up those Nashville gems. Anyone else notice the “evil” grin on David’s face in the middle picture? It was generous of you to cut their hair! hahaha great pics from Nashville..then and now.He had a good week there. Who I Am is right there at the top of that list. from the teens to the 20’s,30’s 40’s etc ,we are all ever changing beings, aren’t we? A catchy, funny little song that remains with those “mother tapes” that play in my head from time to time, and bring a smile to my face, when I’m sweatin’ the small stuff. Summer is in full swing now,time seems to be flying by! And it is HOT in these here parts!